Over the past decade we have seen an unprecedented rise of smart technology in our lives, our homes and even in our cities. 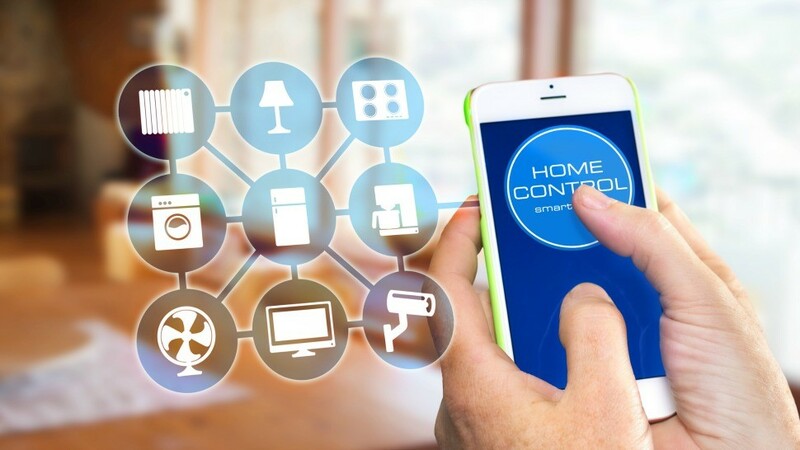 The range of smart home devices on the global market continues to grow and by 2022, it is forecasted to reach $53.45 billion according to figures revealed in the Zion Market Research. Technology giants across the globe such as Google and GE are making bold moves (and investments) into developing alternative energy and efficiency technology, fuelled by the increased consumer awareness of their impact on the environment. From recycling of your E-waste to the introduction of eco friendly features in the home, smart technology is simplifying our everyday lives. However, that’s not the only impact that smart technology can have in your life; it can also be a great investment to help you save money in many different ways including helping you to become energy efficient. Here are just a few. Most recently, there has been a boom in smart homes. 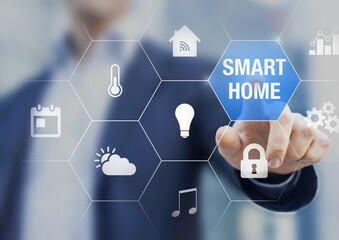 In every part of the home, these smart appliances are transforming property building decisions and with the rising energy prices in Australia, the home is the perfect place to implement measures to save on energy. Thanks to smart devices such as smart thermostats and household appliances, energy usage in the home can be much more efficient. Research has shown that home automation can help homeowners save up to 10-25 percent in energy costs. Devices such as the Siemens Smart Connected Dishwasher or the Honeywell Smart Thermostat allow you to control daily tasks with your phone by turning on the heating when you need it. In the kitchen, smart dishwashers operate on the IOT premise and come with the energy efficiency star. Other integrated home technology can even help you control your lighting, leaving room for efficient energy usage. By swapping out a few of your most used light bulbs to LED types, you are looking at easy savings. LED models are up to 80 percent cheaper to run and last much longer, reducing replacement costs. Heating and electricity costs are not the only areas in which smart technology can save you money. Usage of water efficient fixtures and appliances in the home can save you a lot of money and water. Based on the Australian Government’s Water Efficiency Labelling and Standards Scheme, households in Australia stand to save approximately $175 each year on their water and energy bills by simply switching to water-efficient appliances and fixtures in their homes. Of that $175 annual saving, 35 percent can be attributed to reduced water bills. Smart connected technology such as timed sprinklers can help reduce water usage while in the shower, energy efficient showerheads can not only reduce water usage but also lessen energy usage from hot water usage. Smart technology is also helping consumers become more aware of their energy usage habits. Once you know how much you use and your peak times, you can implement measures to help you lessen your energy use. We have heard and read a lot recently about smart meters which aim to remove the estimation in energy bills for consumers. However, for in home monitoring devices such as the Geo Minim and the Efergy Elite In-Home Energy Monitor collects and transmits information about your usage pattern to its display and your PC. Data collected is displayed according to cost per hour and helps to pinpoint the times where it is at its highest. This allows you to narrow down the areas you can cut back or possibly swap appliances for a energy efficient one. Smart technology is transforming our homes. It is not only helping you gain control of your home but also helping Australians gain more control of energy costs. While some of these smart devices may require an initial investment, when used properly you could save a bundle of cash. Article by freelance writer Allie Taylor.